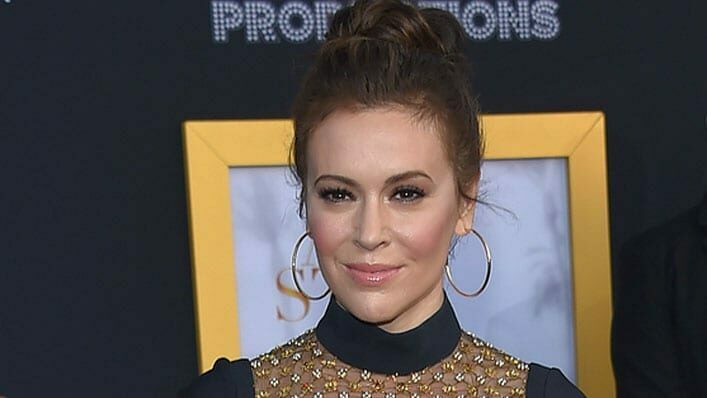 Actress Alyssa Milano has been a very vocal Hollywood force pushing forth the pro-abortion agenda. One clever commenter retorted with a comparison regarding Hitler and the Jews to point out just how flimsy her argument was when applied to other contexts, like genocide. 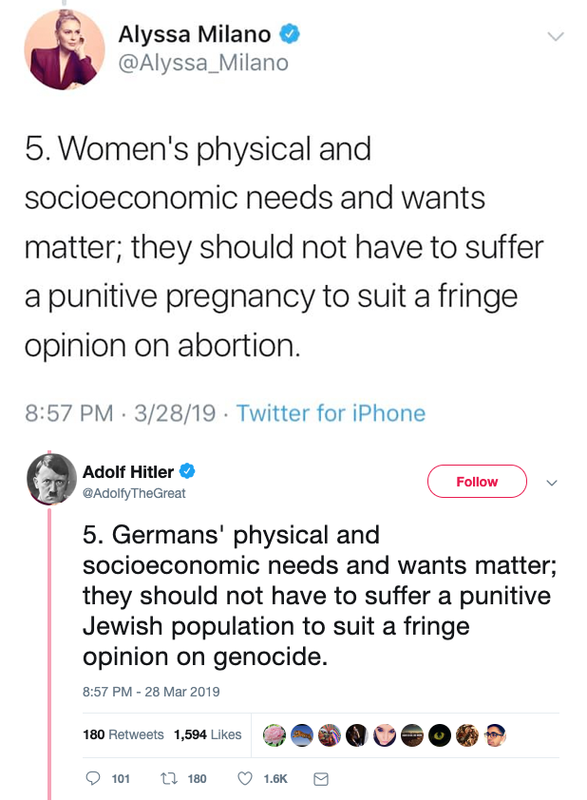 “Germans’ physical and socioeconomic needs and wants matter; they should not have to suffer a punitive Jewish population to suit a fringe opinion on abortion,” quipped a Twitter user identifying himself as Adolf Hitler for the sake of driving home a point. Recently Milano has also threatened to boycott Georgia if the state signs its heartbeat bill into law. Earlier this week, the actress posted a public list of other Hollywood celebrities who would join her in boycotting the state if the bill passes. Essentially they are threatening to take $10 billion in Hollywood revenue away from the peach state. Now it appears Milano is attempting to use the Bible to back up her stance on abortion — and the public has been quick to call it out as totally ludicrous. 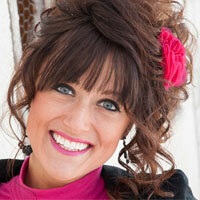 Talk about a misuse of Scripture — and a completely botched effort to marry science and theology. Clearly failing to make a connection with her lackluster attempt to pepper the Word of God in with her pro-choice stance, Twitter users immediately fired back. Hey Hollywood Celebs…NO ONE Cares What You Think!!! For those like Alyssa Milano and the other “over the Hill” Celebs trying to say that the Bible supports your calls for Abortion let me break it down for you.